Orlando Pirates will face Tunisian giants Esperance in a top-of-the-table Caf Champions League Group B match in Tunis this afternoon. 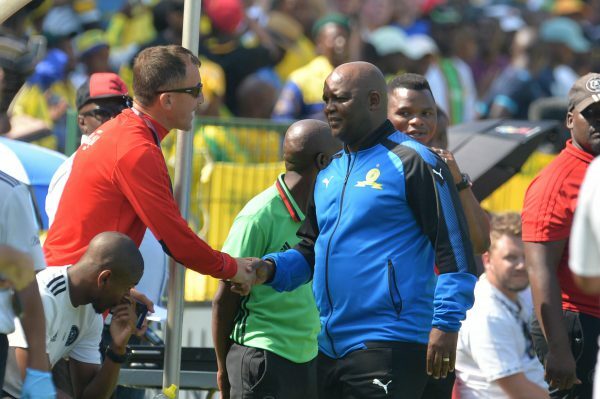 Mamelodi Sundowns coach Pitso Mosimane, whose side are also in action today against Asec Mimosas in Ivory Coast, says Milutin “Micho” Sredojević and his Buccaneers need to thread carefully in Tunis. “He (Micho) would love to win at El Menzah Stadium, but I know it, I have been there. I know what happens. I told you about the Levy Mwanawasa Stadium in Ndola, I was there, it is not easy,” said Mosimane. “I know what happens, I have been in this thing for five years now. I know where there is a possibility of winning and I honestly thought we would win at Lobi Stars until the 44th minute when we conceded a penalty and everything turned around,” he added. “Jingles” went on to share what he believes is a recipe for success in the group stages, with winning all home games being the main ingredient.